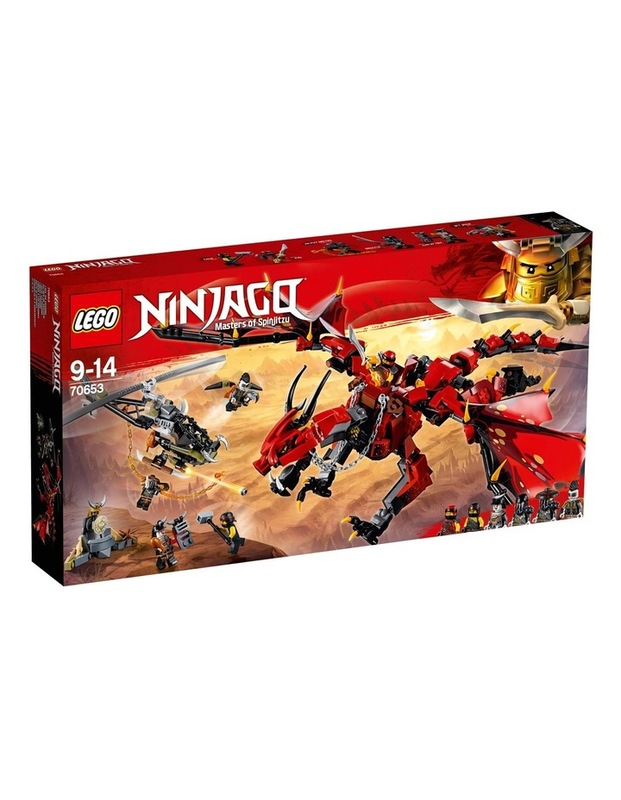 Ninjago Firstbourne. Help Kai and Cole save Firstbourne the mother of all dragons from the Dragon Hunters! 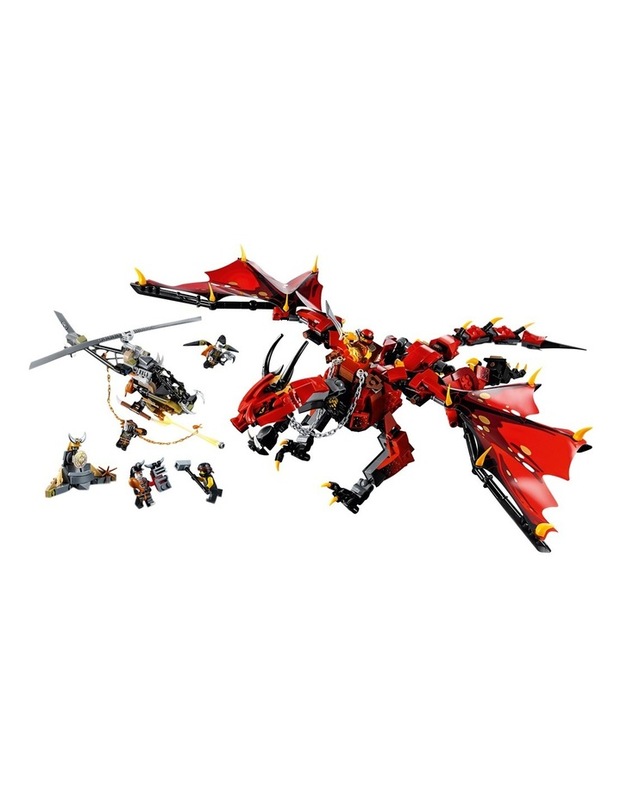 Flap the wings of the mighty LEGO NINJAGO 70653 Firstbourne dragon to fly clear of the HunterCopter's stud shooters. Swat away hunters lowered from the HunterCopter with her powerful tail and don't be tempted by the tasty cooked turkey dangled in her face! 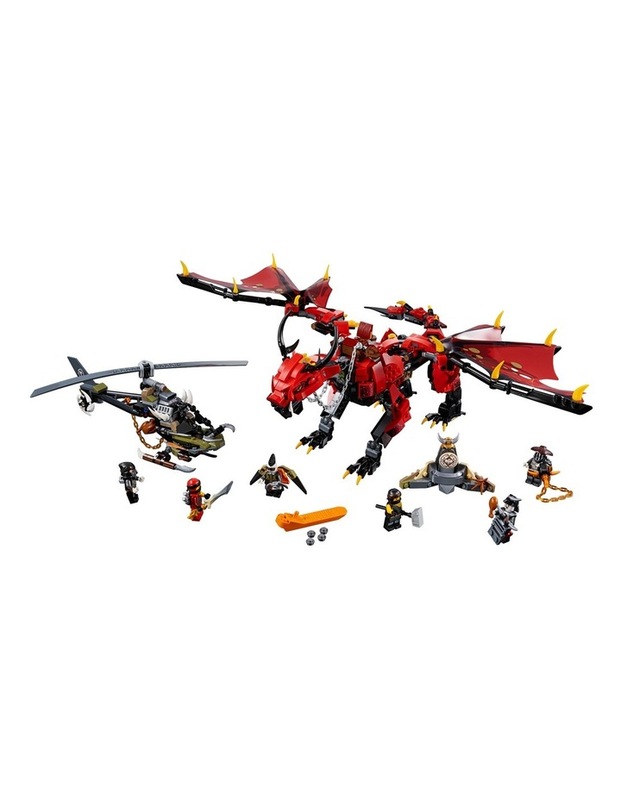 Can the ninja warriors defeat Heavy Metal, Chew Toy, Jet Jack and Muzzle, and claim the precious Dragon Armor? You decide! 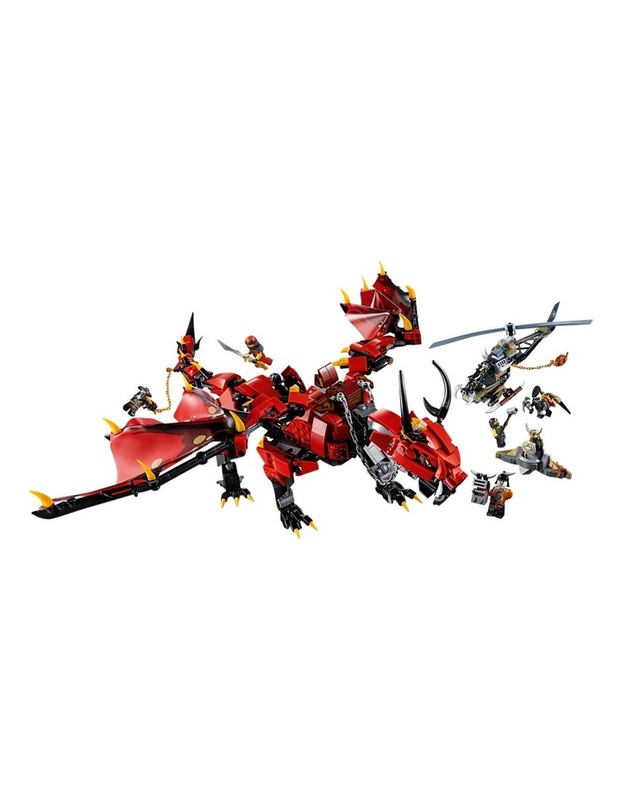 Age: 9-14; 882 Pieces. Style No. 70654.